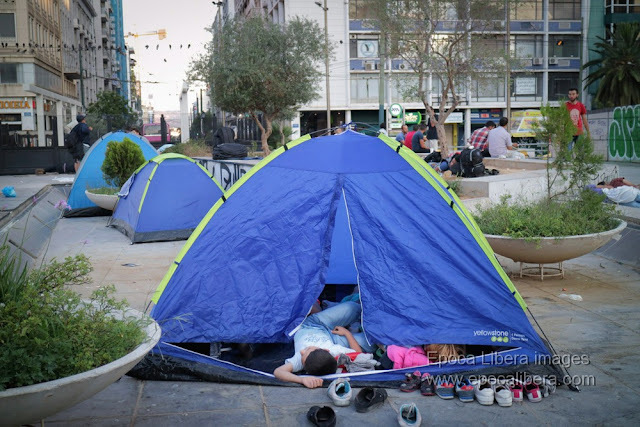 Refugees in Athens, including young children and babies, are left without any shelter. 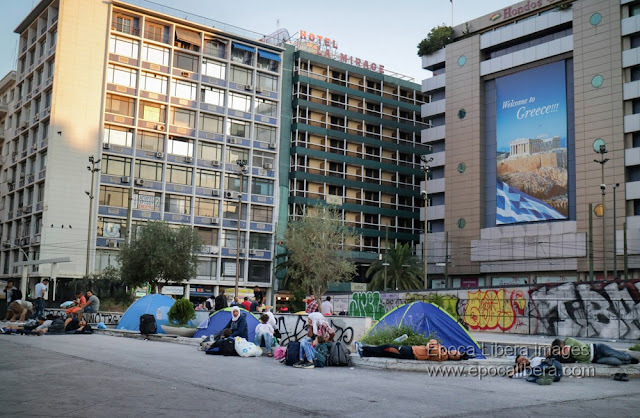 Many of them sleep in the streets and squares of the Greek capital, while some have raised tents but without any access to basic personal hygiene conditions. 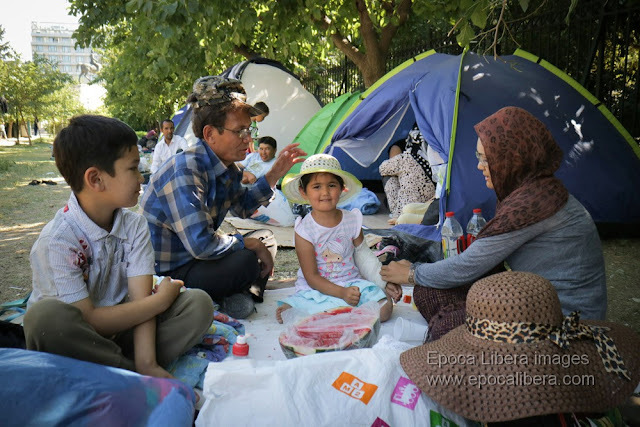 Refugee families, mainly from Syria and Afghanistan, stay in a makeshift camp in a public park of Athens. 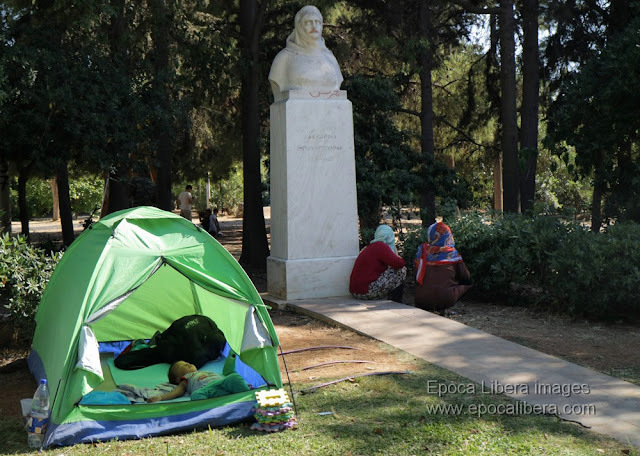 Authorities threat with eviction. 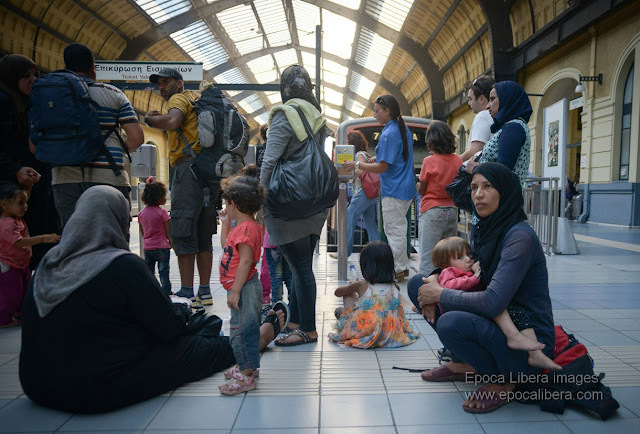 Forced to become refugees fleeing war and poverty, to be treated as criminals. 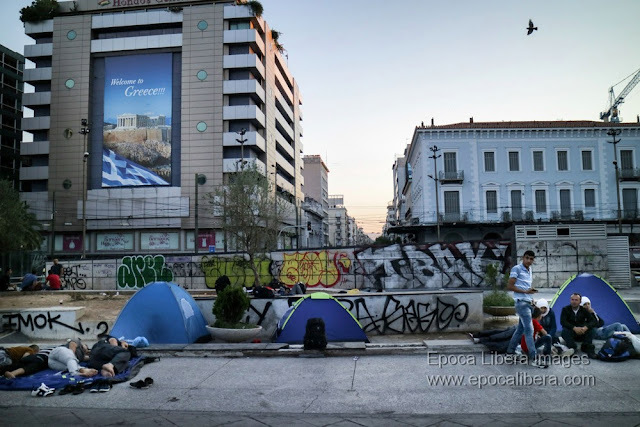 Athens, Greece, 19 July 2015. 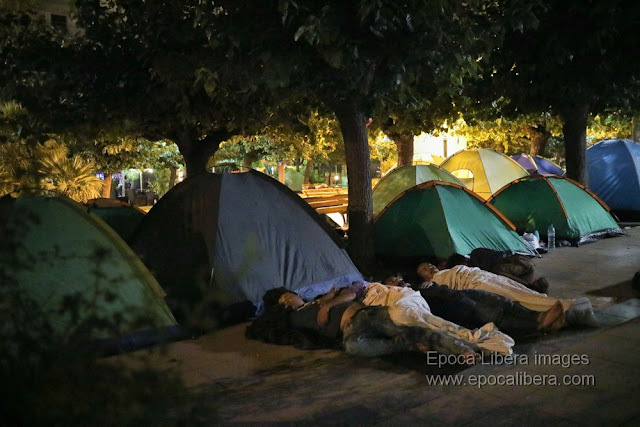 Syrian refugees, mainly women and young people, have spent the night sleeping outside at the Omonia square in the center of the Greek capital. 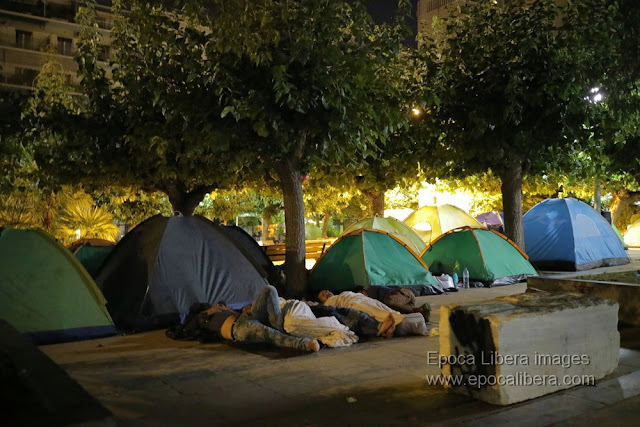 Some of them have raised tents. There is no access to basic personal hygiene conditions as toilet. 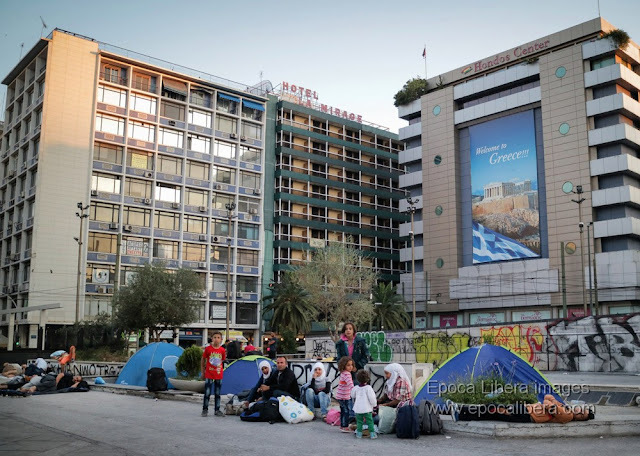 A giant poster on a building with a blue and white Greek Flag reads: "Welcome to Greece"
Syrian refugees, mainly women and young people, have spent the night sleeping outside at the Omonia square in the center of the Greek capital. 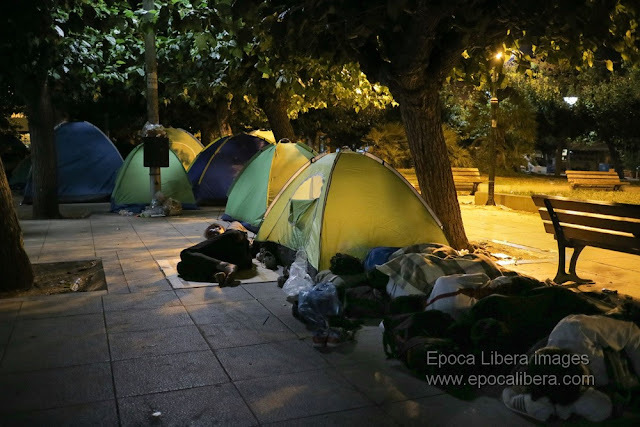 Some of them have raised tents. There is no access to basic personal hygiene conditions as toilet. 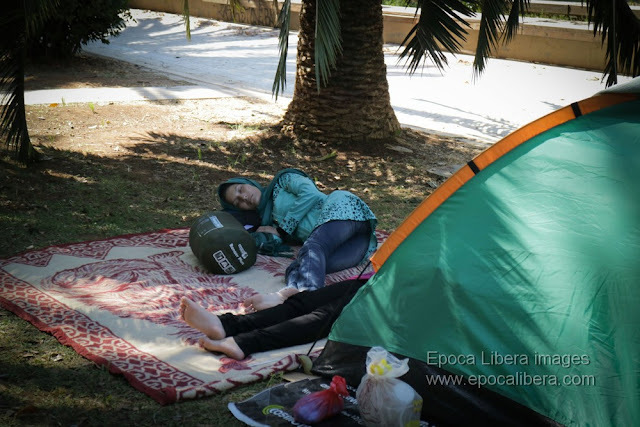 Refugees from Afghanistan have raised tents and sleep in Victoria Square of central Athens. 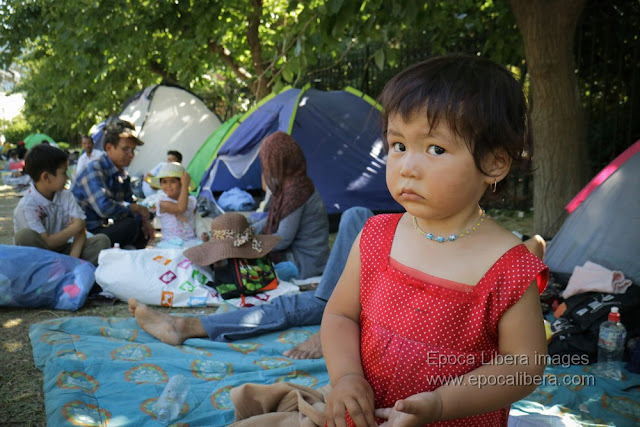 There is no access to basic personal hygiene conditions as toilet, or bathroom. 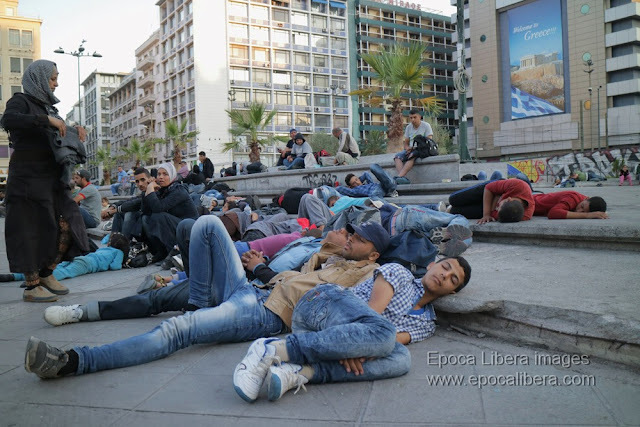 Refugees from Afghanistan, including young children and babies, have spent the night in Victoria Square of central Athens. 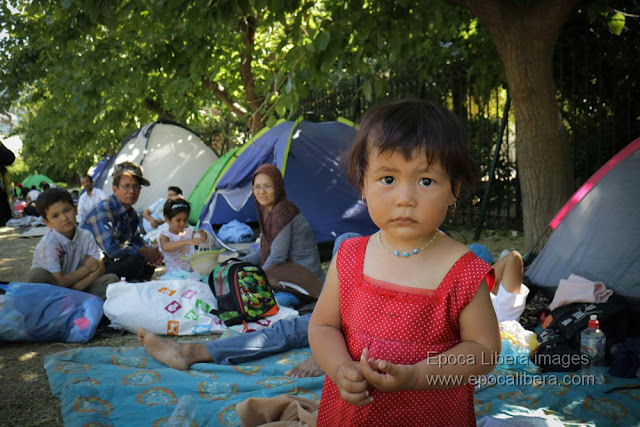 There is no access to basic personal hygiene conditions as toilet, or bathroom. 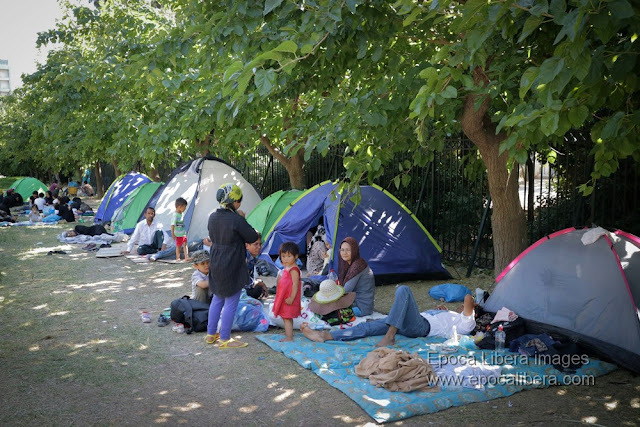 Refugees from Afghanistan, including young children, have raised tents and live in Pedion Areos Park of central Athens, as they have been left without any shelter. 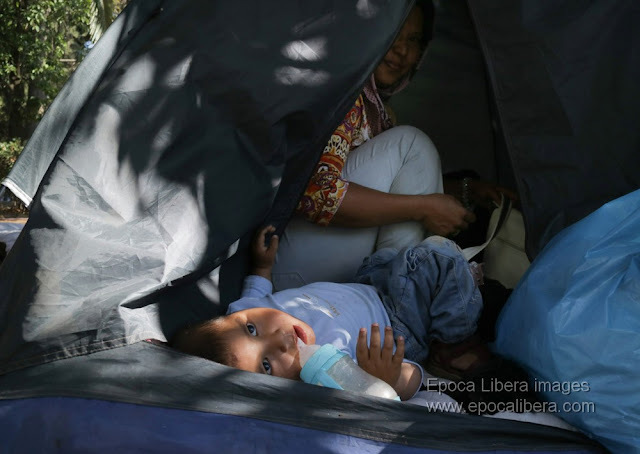 There is no access to basic personal hygiene conditions such as toilet, or bathroom. 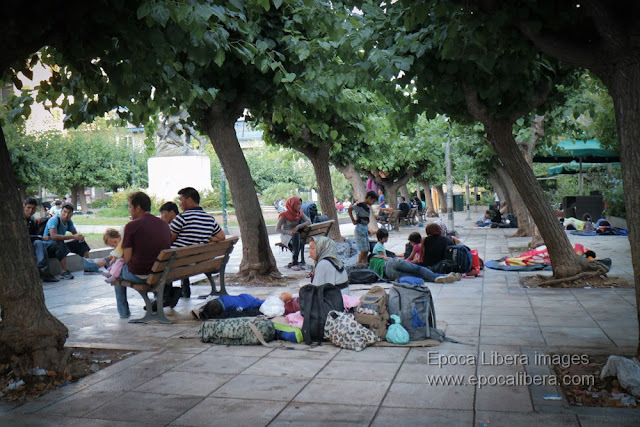 Refugees including young children, have raised tents and live in Pedion Areos Park of central Athens, as they have been left without any shelter. 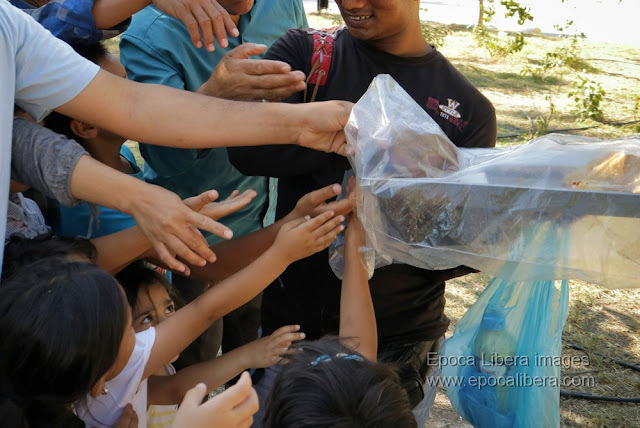 There is no access to basic personal hygiene conditions such as toilet, or bathroom. 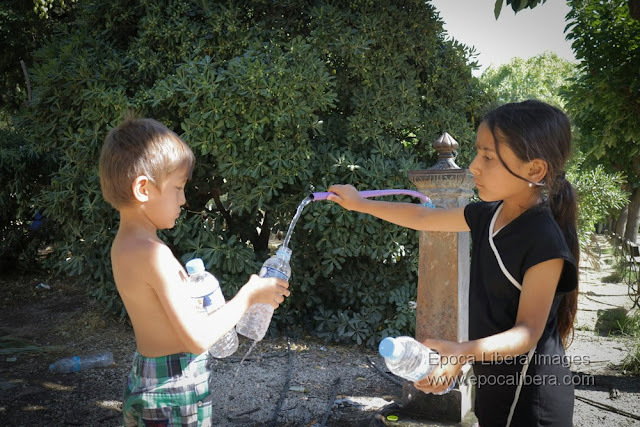 Two refugee children get water from the public tap that they use to drink water and get washed in Pedion Areos Park of central Athens, where they have raised tents and live in the open city area, as they have been left without any shelter. 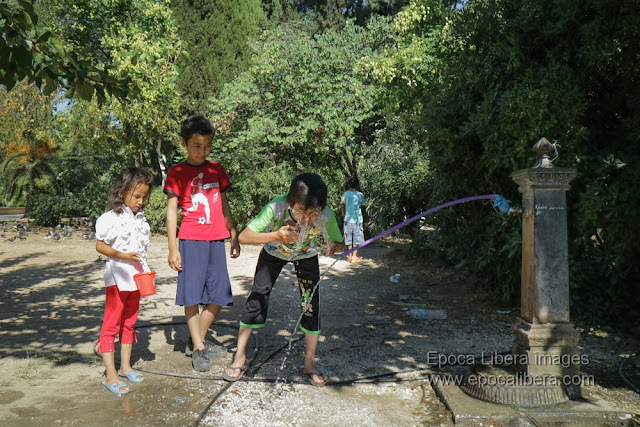 Refugee children get water from the public tap that they use to drink water and get washed in Pedion Areos Park of central Athens, where they have raised tents and live in the open city area, as they have been left without any shelter. 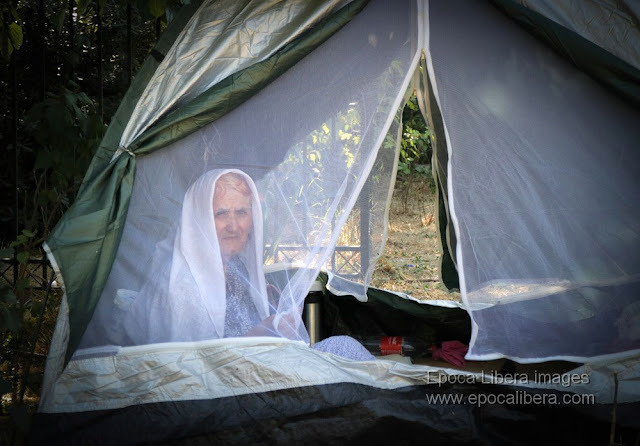 An elderly refugee woman is seen in a tent in Pedion Areos Park of central Athens, where refugees have raised tents and live in the open city area, as they have been left without any shelter. 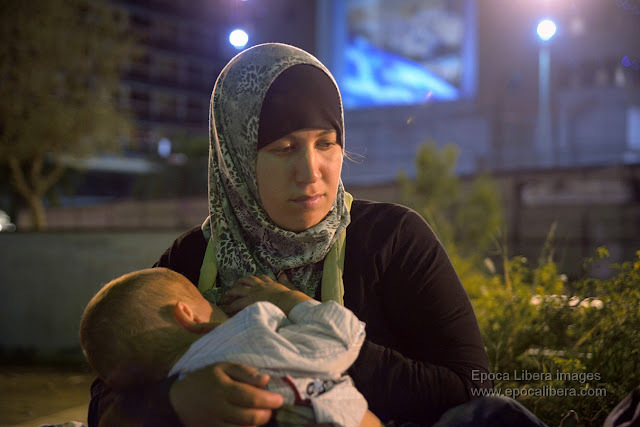 A Syrian refugee breastfeeding her baby at the Omonia square in the center of Athens. 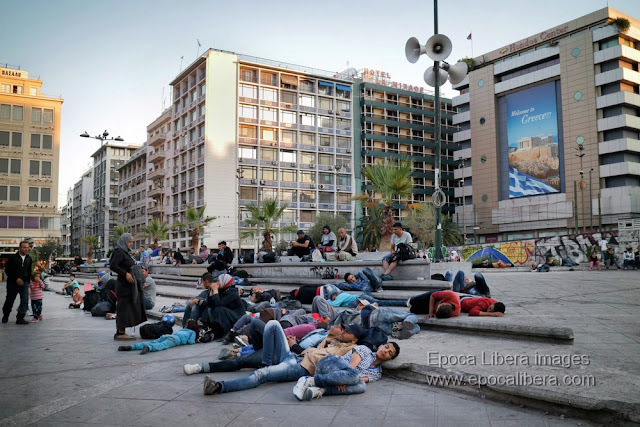 They have to sleep out without shelter./// According to figures released by the UN Refugee Agency, a total of 816,752 refugees arrived by sea in Greece this year (2015). 26 August 2015. 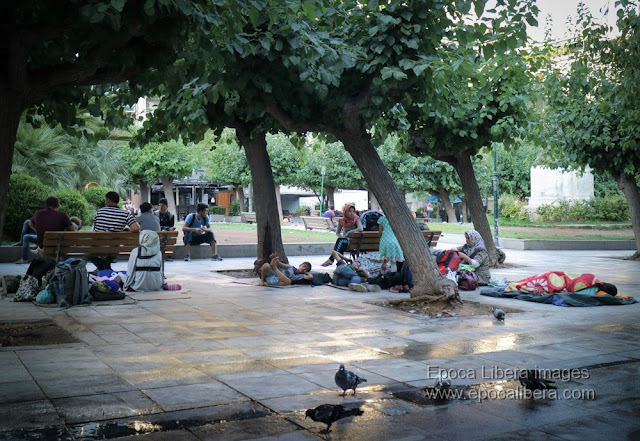 Syrian refugee with her three children while breastfeeding her baby at the Omonia square in the center of Athens. 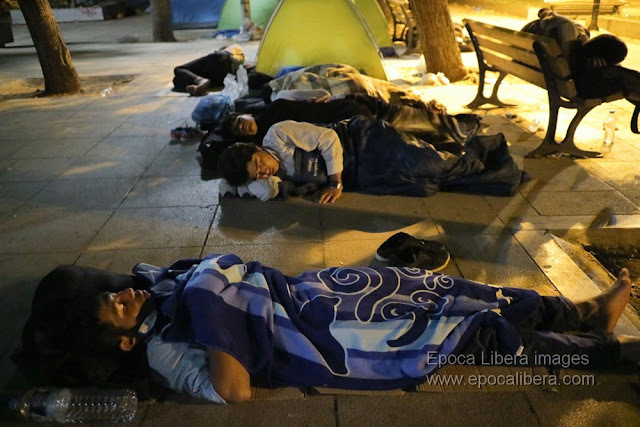 They have to sleep out without shelter. 26 August 2015. 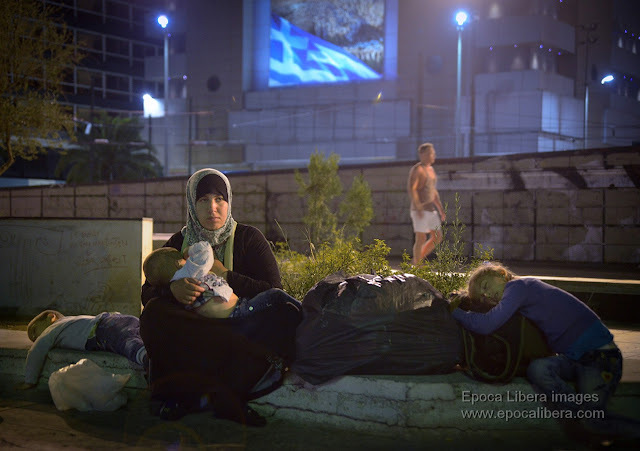 A Syrian refugee sitting on the pavement is breastfeeding her baby while waiting at the Piraeus metro Station . 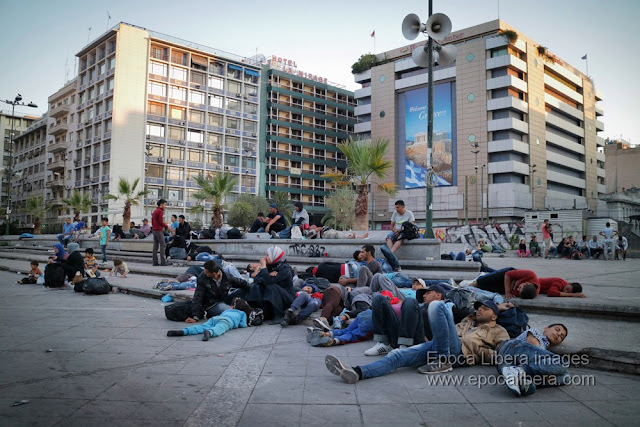 The refugee ship arrived again in Piraeus port today in the afternoon, carrying just over 2,500 Syrians from the Greek islands, as a wave of migrants fleeing conflict and poverty continues unabated. 25 August 2015. - Imetys (Breastfeeding) - Finland. 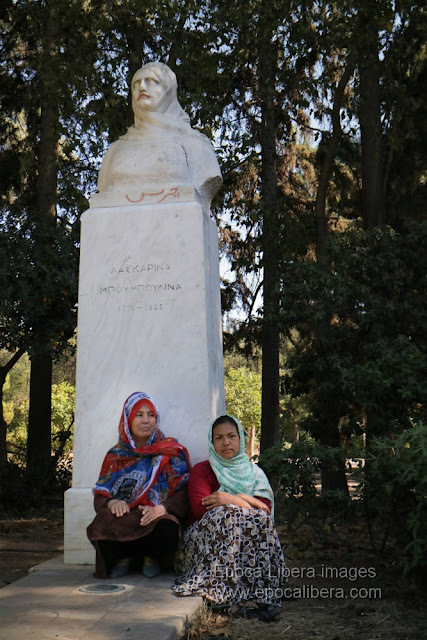 View the articles on a new page by following Link1, Link2.